The G7 ThinQ leaked in great detail before the announcement, but LG just got around to unveiling the device yesterday. As is tradition, we started to hear from carriers about launch plans in short order, but one was missing: AT&T. Now we know why. Apparently, AT&T doesn't intend to sell the G7 at all. Instead, it'll launch a different LG phone later. 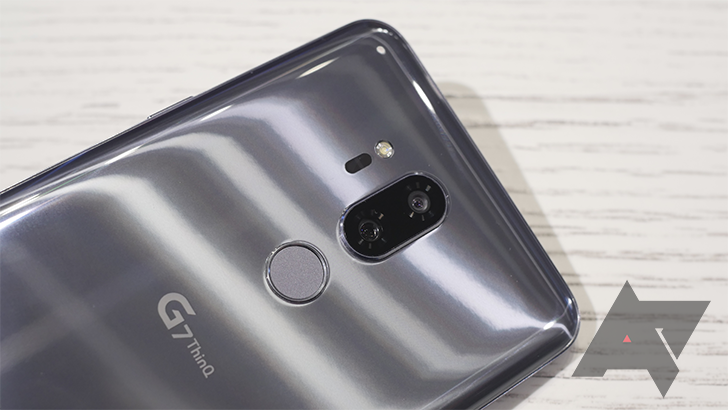 The G7 ThinQ will be sold by all the other carriers, large and small. Verizon, T-Mobile, Sprint, and even US Cellular have confirmed the G7. Although, a lot of details are still missing. T-Mobile says it'll have the G7 soon, but there's no date. Sprint is taking orders on May 25, and Verizon is one day earlier. US Cellular will begin sales on June 1. None of the carriers have pricing yet. AT&T describes the unknown phone as a different, exclusive device from LG. That could technically still mean some version of the G7, but perhaps with a few tweaks to make it better than the version sold on all the other carriers. We'll find out this summer when the mystery device hits AT&T.